Our colleagues in England and Wales have produced a new Christmas story book. With wonderful words by Dai Woolridge and beautiful illustrations by Emma Skerratt, this book looks at why Jesus came to live on earth, and why he was born as a baby. Mouse is on the case when he discovers he has a new noisy neighbour. Who is he, and why is he here? The mystery-solving mouse gathers the clues and finds the answers to who Jesus is: Emmanuel, Rescuer, King. Give this book as a gift or use it in your church children’s programmes this Christmas. Call in to the Bible Society NI office or get in touch to order your copies. Each book costs £1. 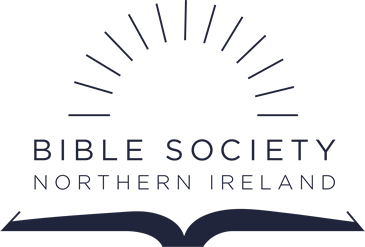 Take a look at the website of the Bible Society in England and Wales. They have great resources that go alongside this book: an animation of the story and a brilliant ‘Instant Nativity’ that you can use in your Sunday School service.